Bed Bug BBQ | The #1 Cleveland Ohio Bed Bug Heat Exterminators! The Bed Bug BBQ A+ rating comes from near 100% customer satisfaction. Get results now! Bed Bug BBQ is Cleveland’s ORIGINAL bed bug heat treatment service. We ARE the best. Dealing with bed bugs for months? We will have you bed bug free in 24 hours. Bed Bug BBQ uses 100% chemical free heat treatment to eradicate bed bugs, guaranteed. Cleveland Ohio's Bed Bug Experts! Personally guided by Co-Founders Chris Gonda and Laura Steelman, Bed Bug Barbeque is your dependable source of world-class bed bug heat treatment and extermination services. When you work with Bed Bug Barbeque you can expect a high level of professionalism, efficiency, and our award winning GUARANTEED extermination service. We are here to rid your home or property of infestation and help you return to comfortable living. Bed Bug Barbeque is the #1 Bed Bug Extermination company serving Cleveland, Ohio and surrounding areas. Bed Bug BBQ’s proprietary techniques are ZERO inside emissions, ZERO chemicals, and 100% environment friendly. The Bed Bug BBQ method is safe for asthmatics and others who need special respiratory considerations. The Bed Bug BBQ team knows having bed bugs is a painful, uncomfortable feeling and we are 100% committed to providing a professional and high quality experience. Why would you settle for less? Our techniques allow us to service homes, hotels, apartments, cars, 18 wheelers, and a more without damaging your property. 100% CHEMICAL FREE! 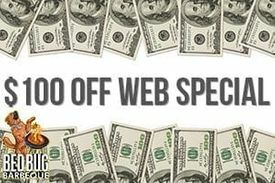 At Bed Bug BBQ we stand by our commitment to have your property 100% guaranteed to be bed bug free. Would you like to know more about why we can offer this guarantee and how it works? Just ask! This is an example of our industrial grade Bed Bug BBQ’ing equipment used in our ZERO chemical bed bug extermination and pest control treatments. We service Cleveland Ohio and the surrounding areas! Contact The #1 Bed Bug Experts! Our crews arrive, and place our heater on the outside of your structure. Add high-velocity air movers to ensure that we safely and evenly distribute heat throughout the structure. This ensures we maintain a safe operating temperature, while getting heat to all the hard to reach places that bed bugs like to hide, such as walls, mattresses, baseboards, etc. Place wireless temperature monitors to make sure we reach the proper temperature for the necessary amount of time to eradicate bed bugs. During that process, we will also manipulate furniture, bedding, and clothing to make sure everything is heated and no stone is left un-turned. As the cooling process begins we return your furniture and mattresses to their original spots. Keep in mind that some items may not be exactly how you left them, but we do our best. Last and most important your home is now bed bug free! While we do have an extremely high success rate if you suspect there is any sign of infestation call us for a free re-inspection! We can service various size or type of hotel, motel, & other hospitality businesses. 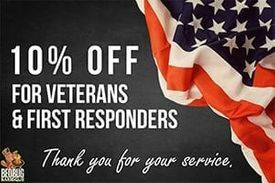 Ask about our quarterly service discounts! 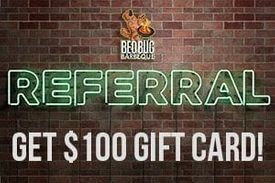 Bed Bug BBQ offers discounts to landlords and multi-property owners. We are experienced in working with a variety of landlord-tenant situations. Bed Bug BBQ is capable of and has treated residential property ranging from below 1000 sq ft up to above 20,000 sq ft. No home too big or too small! Bed Bug BBQ frequently services a variety of drug and rehab facilities offering room by room and whole facility treatment plans. Bed Bug BBQ is experienced in exterminating bed bugs in senior living and nursing homes. We literally kill the risk of bed bug transmitted disease. From single story medical office centers to various office buildings Bed Bug BBQ can service almost any size commercial property. Bed Bug BBQ is experienced in exterminating bed bugs in senior living without causing adverse reactions among allergen sensitive residents. Bed bugs in retail stores are guaranteed to harm your customers and business. If you have bed bugs in your store call Bed Bug BBQ today! Bed Bug BBQ is an experienced and reputable company that will discretely service day cares, schools, and other child care facilities. Bed Bug BBQ is an experienced and reputable company that will service assisted living facilities to make sure residents & staff are comfortable. Bed bugs in your Lyft car? Bed bugs in your Uber car? Bed bugs in your 18 wheeler? We have serviced over 500 cars, trucks, and semis. Bed Bug BBQ is the authority on bed bug extermination. We are courteous and customer satisfaction oriented. Don’t pay for recurring chemical treatment. Bed Bug BBQ will have you bed bug free in ONE service. Think you found a bed bug? Bed Bug BBQ will give you a FREE and HONEST estimate. 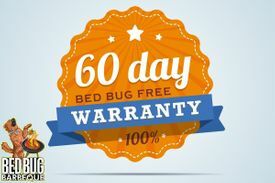 Bed Bug BBQ offers a 60 day bed bug free warranty. Voted #1 Bed Bug Exterminators in Cleveland, OH with 4.5+ stars on Google, Facebook, Thumbtack, and Yelp. Bed Bug BBQ is the only bed bug exterminator in Cleveland, OH with a 100% guarantee to be bed bug free in 24 hours. We only use our advanced heat treatment techniques to exterminate bed bugs and treat your property so it is safe for pets, children, and elderly. Bed Bug BBQ can treat almost ANY property big or small – from cars to RVs to multi million dollar homes and commercial property. If you have bed bugs we can kill them. We are the most professional, efficient, and effective bed bug exterminators in Cleveland, OH. Don’t settle for less! I was very pleased with this company,and I have referred them to everyone that I know. We need more companies like them, they did a wonderful job in a timely matter, also the communication was great…there are no bugs left in our home. Excellent job guys and keep up the good work. I would not consider anyone else. This group is the best. They are quick to respond and compassionate with your upset. They are realistic about your problem and do guarantee their results. Honesty is so very important in a business relationship. There is no one more honest than Chris and Laura: Bed Bug Barbeque. I talked with his employees a bit (on the side) they love their boss and support his integrity. I can honestly tell you I would be in a “nut house” by now if I had not called this company. I was blessed getting them to help me. Hands down the best way to rid your home of these pests! Chemicals and home remedies don’t work!! The companies process of heating your home effectively kills all bugs and eggs and the great thing is NO CHEMICALS around you and your family. Chris graciously offered to come inspect within an hour of me calling which was awesome. Chris inspected my apartment unit thoroughly and shared a lot of helpful information each step of the way. He was very personable and helpful the entire time he was there. I got lucky and it doesn’t appear that I have these terrible pests! Chris gave me peace of mind which was a huge weight of my shoulders. Thanks Chris and BBBBQ! Will certainly recommend to others! GET THE LATEST INFORMATION AND NEWS ON BED BUGS IN CLEVELAND OHIO. Can I Get Bed Bugs From My Uber Ride? Someone said they had bed bugs the size of their hand? What about that bed bugs can survive nuclear fallout? Check the latest myths here! It is 100% true that if you’ve found even ONE bed bug you are considered to have an infestation. Learn how to identify bed bugs and recognize other bugs commonly misidentified as bed bugs. HOW DID I GET BED BUGS?! That’s the number one question we hear. Read this to learn how you can reduce the risk of bed bug infestation in your home, apartment, business, or vehicle. Get a FREE Bed Bug Inspection! Bed Bug BBQ will call you soon.